Work is what you do, not where you do it. 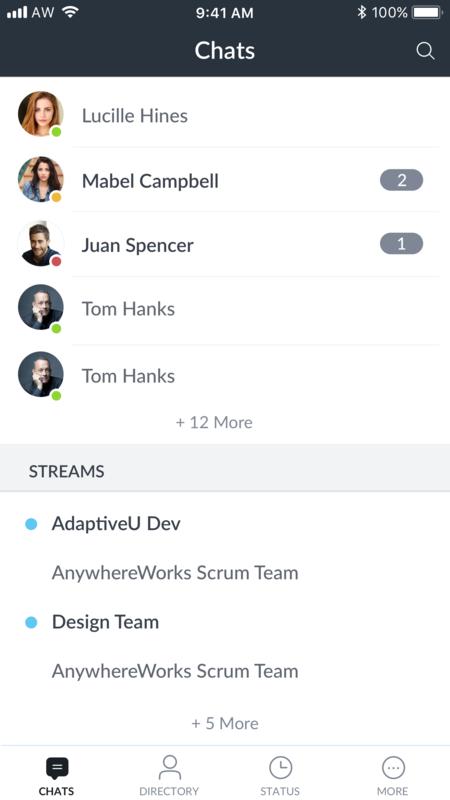 With the AnywhereWorks mobile app, you can take team communication with you anywhere and stay updated with team developments when you are away from your computer. 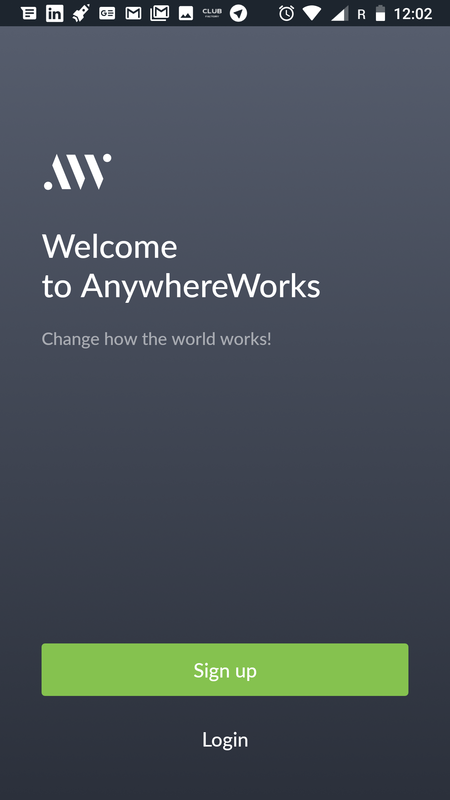 The AnywhereWorks mobile app includes most of the features found in the website version like Directs, Collabs, Feeds and Directory. 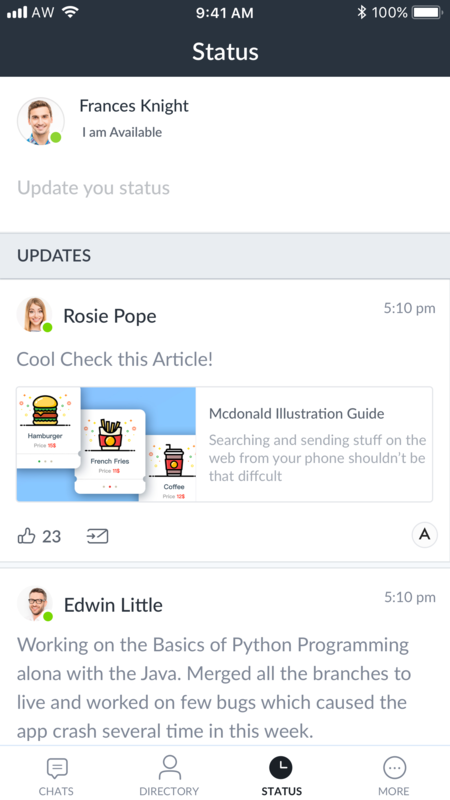 The app gives you instant alerts when you receive new messages or when your team members mention you in a Collab. 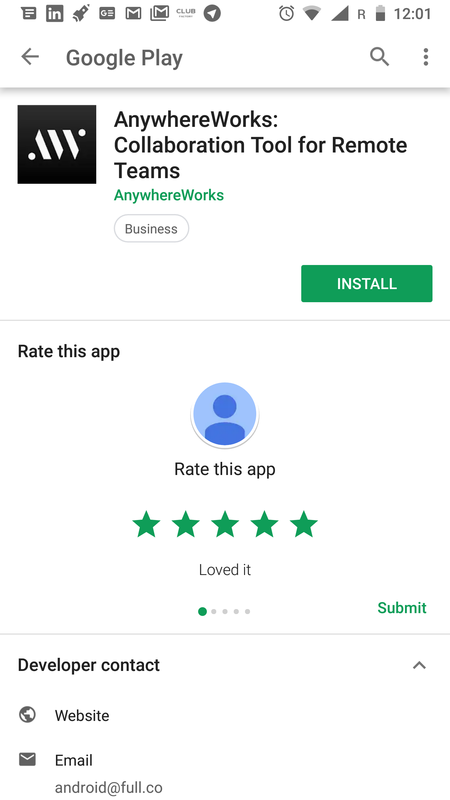 -Go to the Google Play Store (Or App Store) and search for AnywhereWorks. -Click the Install button to start the download of app. Enter the login credentials and tap on the Login button to proceed. -You will notice 4 different tabs for navigation – Chats, Directory, Status and More. 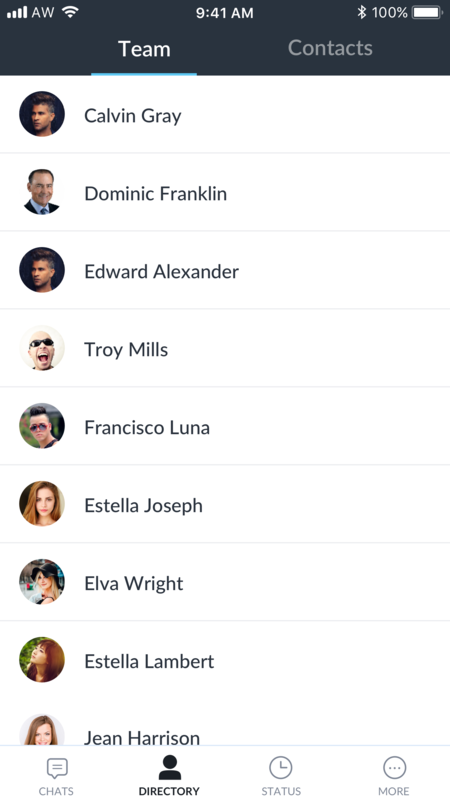 -The Chat section houses all your Collabs and Direct chats. All the members you have recently interacted with and the Collabs you have participated in will be listed in this tab. The Directory tab lists all the members in your Space and displays their availability status. Navigate to the Status tab to view the work updates shared by your colleagues. You can cheer, comment on your peer’s work updates or post your own update from this tab. 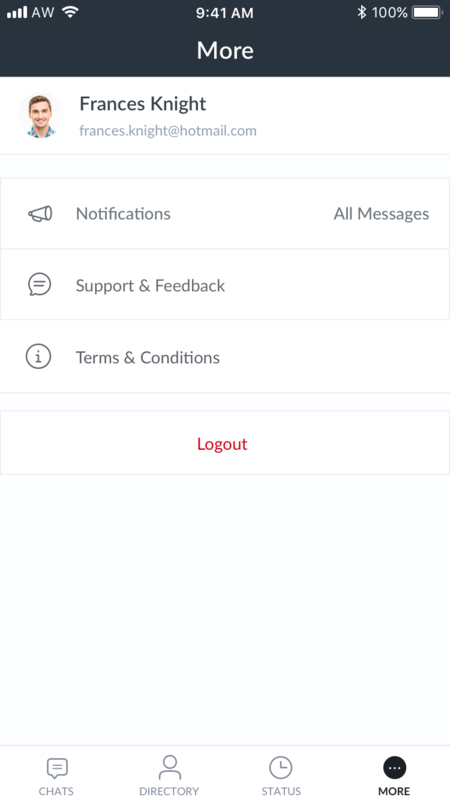 In the More Tab you will find the options to customize your notifications and send Feedbacks.